EE has announced it will remove roaming charges for customers in a new deal, which coincides with the introduction of new roaming charge caps across the European Union. In what could be described as an opportunistic and creative marketing move from the EE team, all existing EE mobile pay monthly and PAYG mobile customers can take their UK allowance abroad to 47 European destinations. Vodafone launched a similar offer a couple of weeks ago, but both failed to mention hands may have been forced due to the introduction of roaming charge caps across the EU. As of 15 June, data caps will be introduced at €7.7 per GB, gradually being reduced to €2.5 per GB by 1 January 2022. Just to be clear, EE’s offer is a better deal for customers than the Europe enforced caps, but a cynic might come to the conclusion such an offer might not have come about if not for the coercion of the boresome bureaucratic beast. Some may also point out that following the Brexit vote UK operators would no longer have to adhere to EU regulations, however the UK will not be leaving the EU for two years, so yes they will. 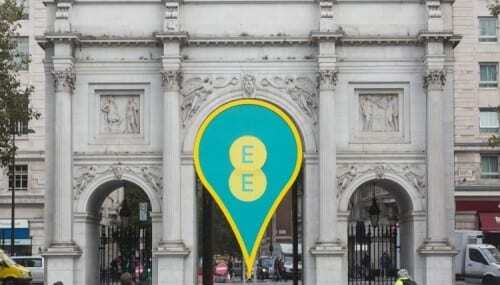 It is a clever bit of creative marketing from EE, turning a new rule into a marketing promotion. Well done, but we got you. “Our customers want to be able to stay connected whether they’re travelling around the UK or abroad,” said EE CEO Marc Allera. As part of the announcement, the team will also introduce 4GEE Max plans, which adds USA, Canada, Mexico, Australia and New Zealand to the overseas offering. EE claims the 52 countries which can be visiting without running up a substantial bill, covers 80% of the time customers spend overseas.